You have a steady customer with us, for future equipment needs. For the dual-band repeater -- my crew cannot believe the results so far from your product. They say its “beyond magic”. Thanks to you and your engineering staff. You have been so helpful to me that I wanted to extend my gratitude to you in email form. About three weeks ago I began experiencing issues with my Government-provided cellular amplifier booster system. Although I am a IT Project Manager and work in IT Security, I am not an IT technical geek. You helped me so much with troubleshooting the problem and by providing for replacement parts. The assistance you extended to me was above and beyond normal customer service standards, and I am very appreciative. While working through the issues mentioned above, I started exploring the idea of setting up a wireless system for personal use. I looked at several options including those offered by Wilson Electronics which had the added benefit of having a local distributor (Portland, OR), but I decided to purchase the wireless system through Mobile Antenna because of your exceptional customer service. From zero bars in my home to 3-4 bars all the time! I installed the CAE50CEL repeater on the weekend and as soon as I plugged it in I went from zero bars in my home to 3-4 bars all the time! I live in the country and my providers tower is almost 10 miles away through trees. I am very pleased and will tell all my neighbors. Thanks again! I would like to thank you for your support in the donation to our group of a Dock-N-Talk Universla Docking Station. It took us few months to get things to were we could use it at one of our routine events. In our command post we have Verizon Wireless modems that connect directly to our phone system. In the area were in at the time of this event we did not have Verizon service. we had to use local GSM company for communications. I took the Dock-N-Talk your company donated to us and connected my Droid phone via Bluetooth adapter that was also donated to us from you. I connected in to our phone system in the Command Unit. This allowed us to have phone service at any one of the 6 phone stations in the unit. I keep grinning every morning when I pick up my phone, see 5-bars, and note that all the email and calls that came since I last checked are there! Thanks ever so much. This is really great now. Got the antenna kit yesterday about 2.
with the outdoor antenna and the antenna is 22 feet in the air pointed at a Verizon Tower that is 6 miles away and my coverage in my house went to 4 bars everywhere in the house. I mounted the indoor antenna at ceiling height and the coverage is nothing short of FANTASTIC. 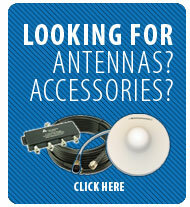 I have looked at tons of systems, but for the money CellAntenna has put together the best system. I have approx 2200 sq. feet with lots of doors and I was afraid I would not get coverage all over the house. The days of going to the window to use the phone when something is wrong with the VOIP or computer are over. Best of all I have it pluged into my UPS and an automatic generator starts if the power goes out. I never new mobile phones could work so good and fast. I am updating my phone to take advantage of the mobile web 2.0 on my old contract and also have the ability to access my security system now and see the cameras I am installing on the mobile phone and know that all is well in the house. My thanks to Jon for picking the right system, installation was 30 minutes and I was in business. To install on a tower take your mobile phone and point it and you can get dead on the tower and not have to re-adjust it. I love the ease of the system and know that it is working 24/7 if I need it for medical reasons, oxygen machine quits, summon help etc. You can buy a single antenna that hooks to you phone, but save you money and buy the whole house repeater, your friends will not have to go to the window as long as they are not on nextel, you can get a package that works for both, but I have had 5 people talking in my home on their mobile phones at the same time and have had no problems. Hats off to CellAntenna for making a simple solution and allowing me to use the features that my phone has without going to the window. It is the difference of dial up internet vs cable internet. You will love your purchase. I would recommend if you have storms in your area with lightning to go ahead and buy the lighting protection. It burns out if the system is hit by lightning, but protects the electronics and my home deductible insurance is 250 so the value of the lightning protection is worth the money. One happy customer. I just wanted to let you know that we installed the CellAntenna yesterday, and it works great! Finally I've had the chance to fire it up and it works perfect!!! Got kit on Friday. Easy to install.